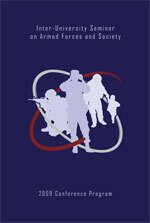 Welcome to your all-in-one source for the latest, most up-to-date information on conferences of the Inter-University Seminar on Armed Forces and Society. 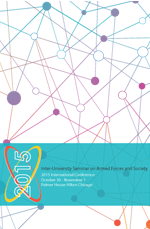 All IUS conferences provide an opportunity for focused exchange and vigorous criticism, covering topical and theoretical issues as well as cutting-edge research, and draw together scholars and military professionals from around the globe. 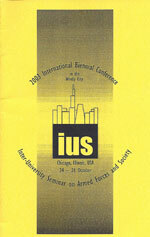 Below you will find information regarding IUS conferences from 2003 to Present. 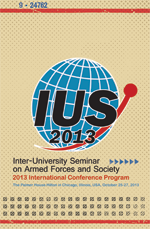 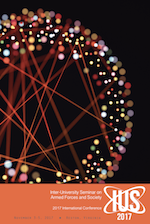 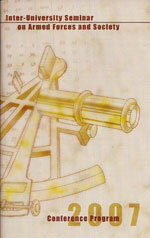 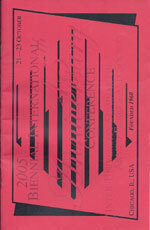 To view the conference program, click on the program cover. 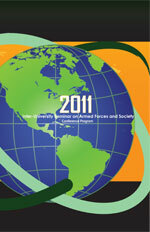 To view the biography of the keynote speaker, click the link associated with their name.